What snack first comes to mind when you think of girls’ night junk food party? For me, it has to include raw cookie dough! 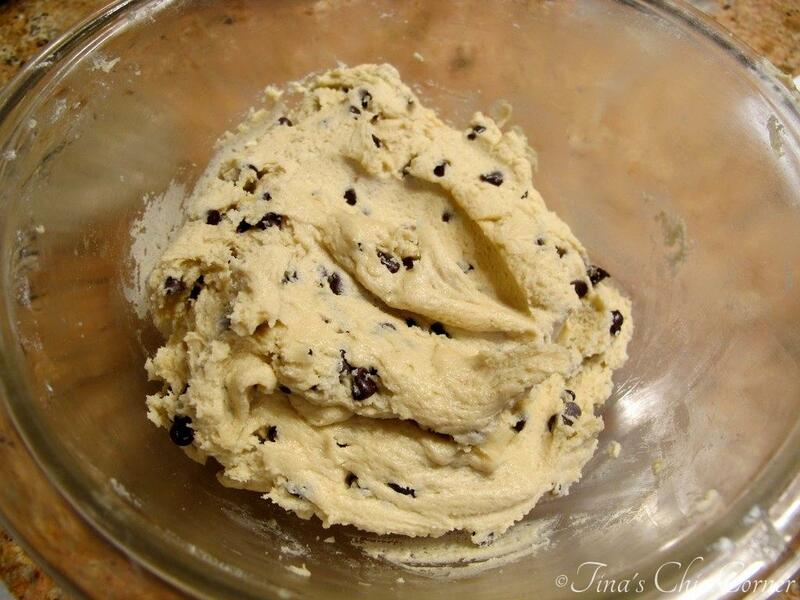 Back in college, I used to buy the pre-made raw chocolate chip cookie dough in a tube. Mysteriously, that cookie dough would never see the oven. No idea what happened. My best friend from college and her family came up for a visit and I thought I’d serve dessert to pay homage to our college years. On a hot August day, we made ice cream sundaes topped with eggless chocolate chip cookie dough, chocolate syrup, and whipped cream. 🙂 Yup, eggless! 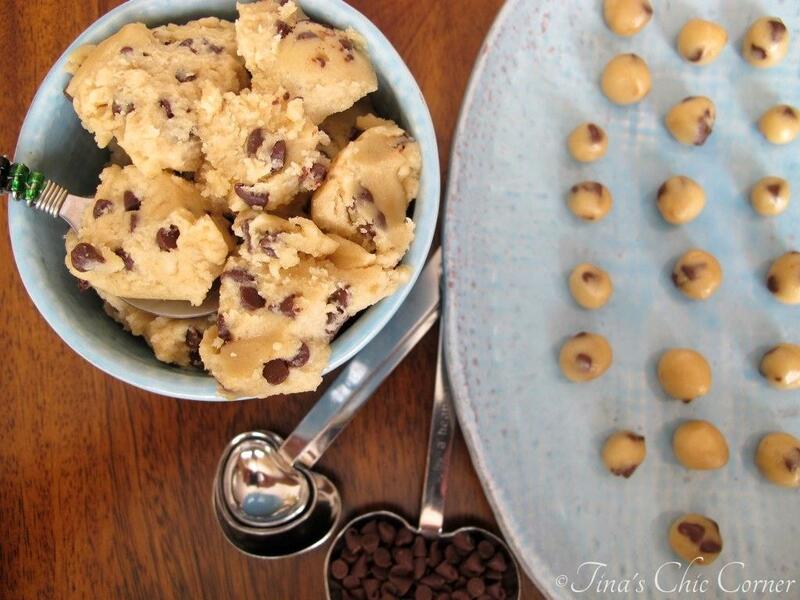 You have all the flavors of a classic chocolate chip cookie dough, but this recipe is totally safe to eat without baking it. Cream the butter, light brown sugar, and white sugar. Make sure the butter is room temperature. Mix in the milk, vanilla extract, and salt. Gradually mix in the flour. Gently stir in the mini chocolate chips. Roll into balls. I rolled mine to the size of peas, but you can make them as big or as small as you like. Store in an air tight container in the refrigerator or in a freezer friendly bag in the freezer. 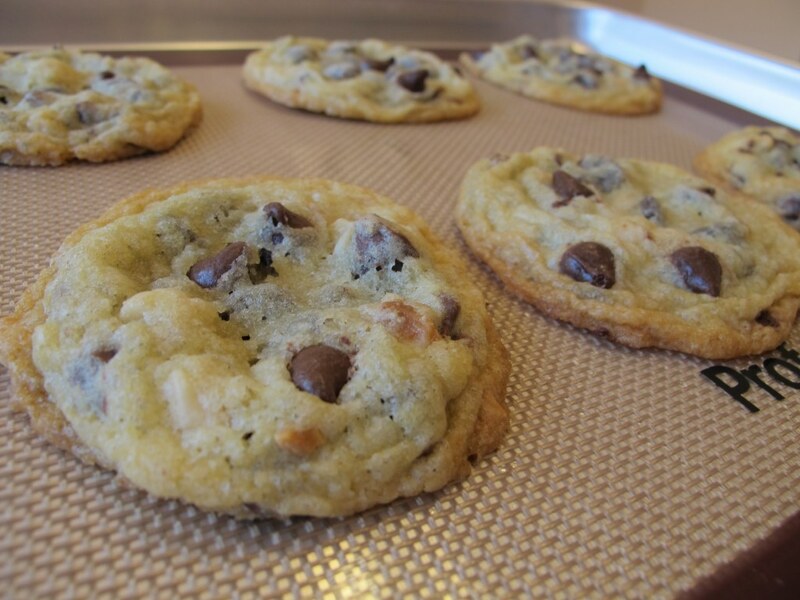 Pretend you are actually going to bake chocolate chip cookies. Cream the butter, light brown sugar, and white sugar. Make sure the butter is room temperature. 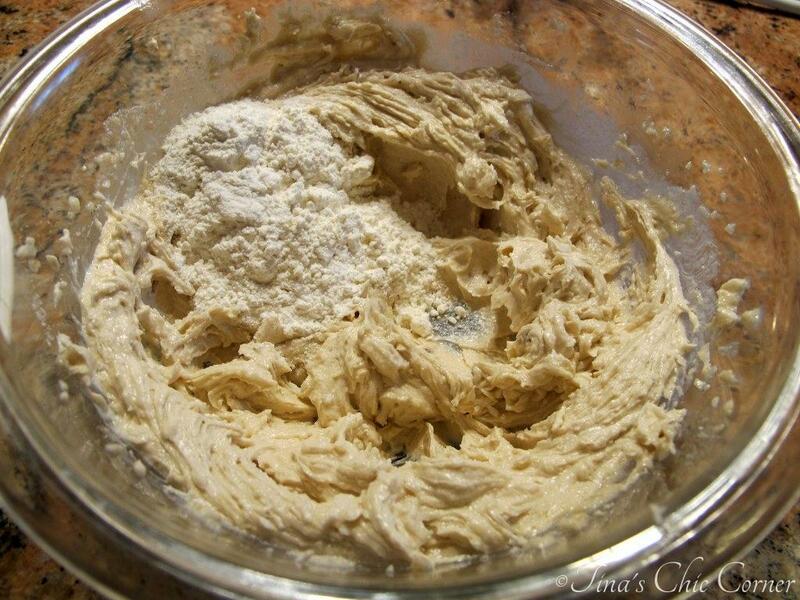 Mix in the milk, vanilla extract, and salt and then stir in the flour. Here’s where it parts from baking the normal cookies though. There are no eggs! I promise the cookie dough will still taste the same as normal cookie dough would before you bake it. 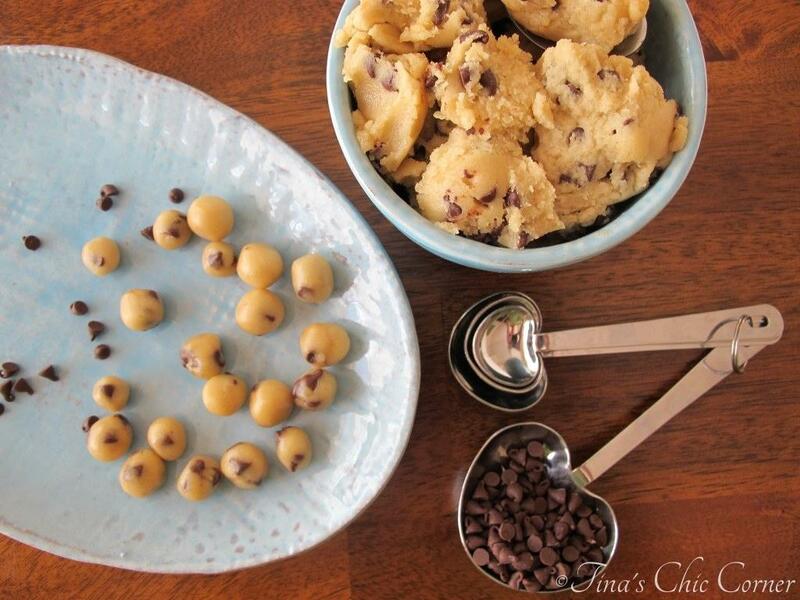 Gently mix in the mini chocolate chips. 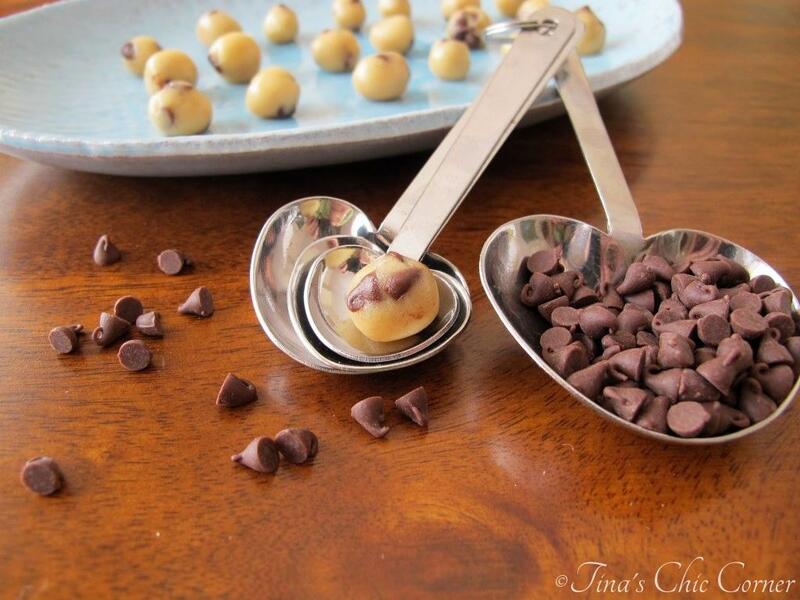 The miniature-ness of these chips are the perfect size for this recipe because it allows small balls of dough to be more than just a single normal sized chocolate chip. The cookie dough should be sticky to the touch. It should be somewhere in between soft and stiff. Meaning if you can’t roll the dough into pea size balls then you simply need to refrigerator it for about 30 minutes for it to firm up. Today I rolled the dough into pea size balls to add to ice cream sundaes. After rolling the balls, place them in the refrigerator again until you are ready to serve them with ice cream (or any other chilled dessert treat). It’s such an easy dessert, but the homemade chocolate chip cookie dough really impressed my friends. 🙂 Not to mention the fact that we didn’t have to worry about getting sick from eating raw dough because there are no eggs to be found here. I would even spread it in the middle of an Oreo cookie, right on top of the cream. Oh yum! If your idea involves scooping the dough like a spread or dip you simply need to leave it out and let it get to room temperature. 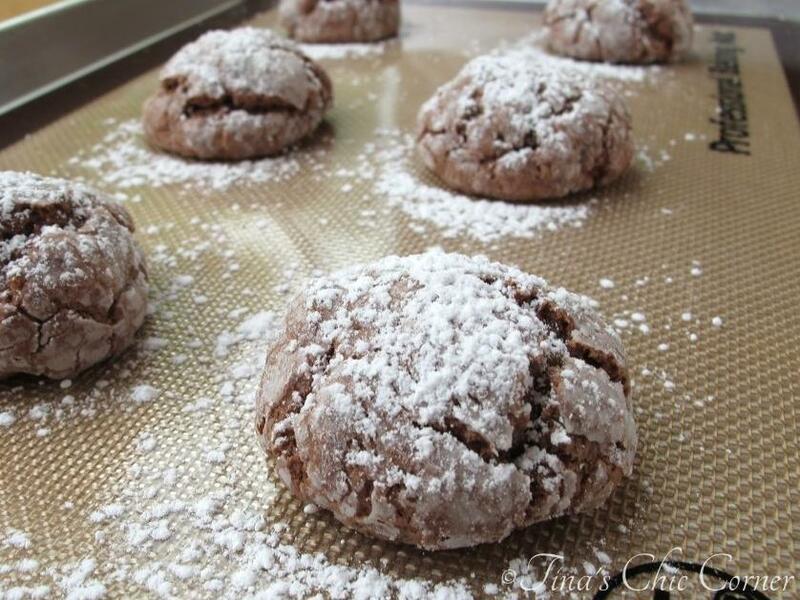 I love chocolate desserts, like Chocolate Gooey Cookies. This looks like trouble!!!!! LOL love it! This really is such a college thing- I don’t know anyone (aside from little freshman) that doesn’t keep a tub of cookie dough in their fridge… then if they get sick, push through it and never go to a doctor. I love making eggless cookie dough truffles with this stuff- it’s a perfect substitute for the egg-y stuff and you don’t get sick from it! 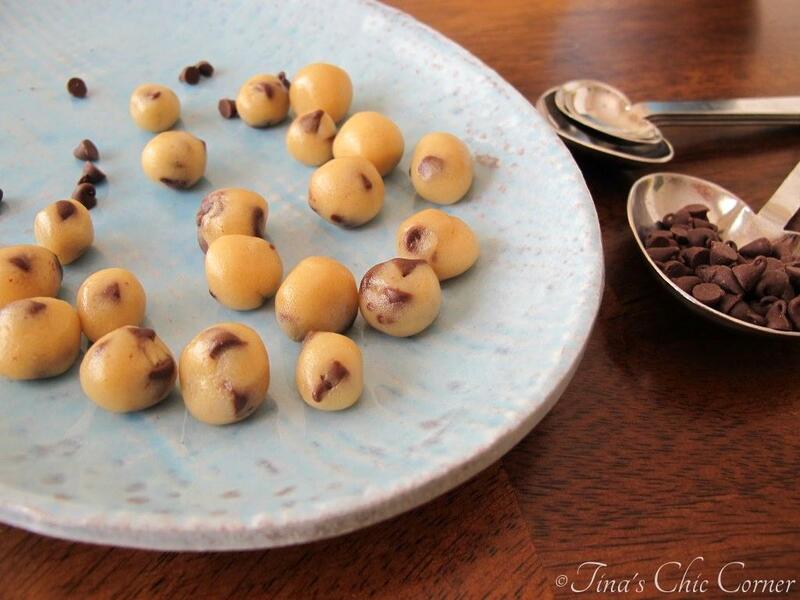 Cookie dough truffles sound a-maz-ing! I could eat about 18 of these, yum! Easily! We loaded our ice creams with lots of cookie dough balls. As if that wasn’t enough, afterwards we ate it straight from the bowl. Hehe. Cookie dough is addicting. My absolute favorite cookie! I’d probably finish the dough first before getting them into the oven. 😉 Happy Friday Tina! Haha, that’s awesome because I’m the same way. 🙂 Have a great weekend! No eggs! I can eat the cookie dough. Love it. Gotta see what they look like out of the oven…. 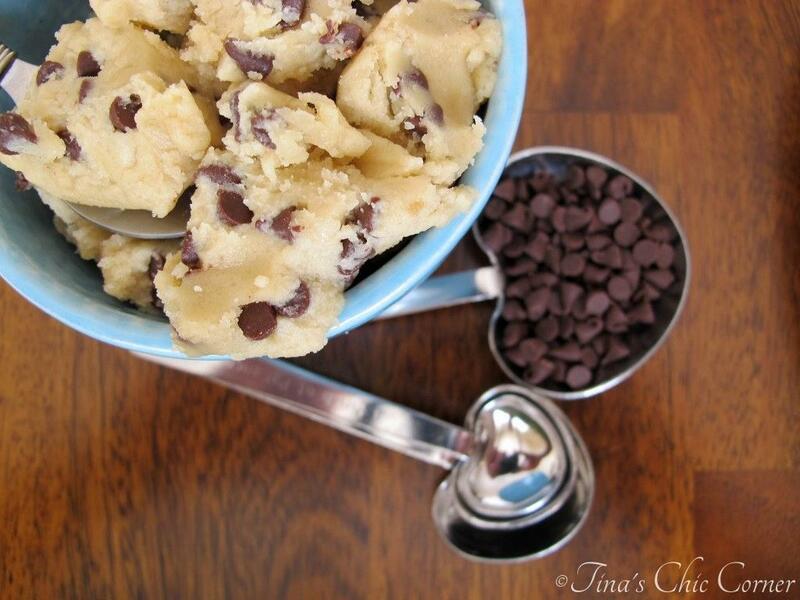 Cookie dough is the BEST! Adding it to ice cream is a great idea, I usually can’t make it last long enough because I’m just eating it out of the bowl. Yum! Chocolate chip cookie dough that’s safe to eat? Love it. I love cookie dough, probably more than actual cookies themselves. And I am so guilty of eating eggy dough. hah. 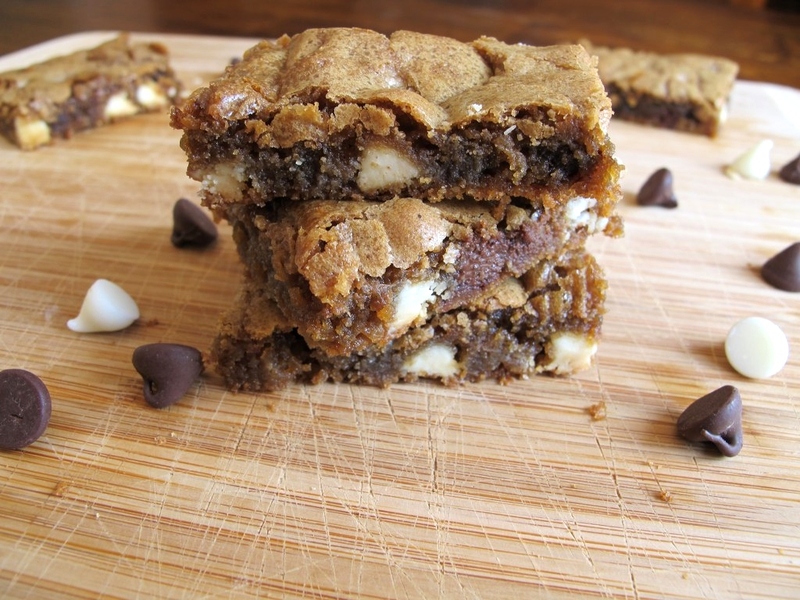 There are eggless recipes out there, but I’m afraid this one might not be one of them. I think it’s missing some ingredients that would be key to the baking process, like baking powder. If you try baking this recipe let me know how it turns out…I’m curious. 🙂 Thanks so much for stopping by!